He who sings thinks no evil. 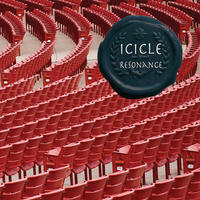 Herd Records presents RESONANCE by Icicle (icicle.club) - 4th solo album of genre-defying tracks. Listeners are invited to discover select early-release tracks on Bandcamp (icicle-band.bandcamp.com) and SoundCloud (soundcloud.com/icicle-band). "These 13 songs take us on a journey of style and depth," reports Soundwaves Review (soundwavesreview.com/new-album-preview-resonance-by-icicle). "We have funky dance, spacey grooves, instrumental tracks blending industrial and electronic sound, and lyrics that captivate with their honesty." RESONANCE reaches a broad new scope for Icicle, the alias of Krassy Halatchev who has been swept up in an intensely productive and personal wave of song-writing since going out on his own. Thus it is no surprise that this new record stands tall to its predecessors - Resurgence (2014), Theorems (2015), and Reverie (2016). Floridian poet Joel Jenkins lends lyrics to Win Win Win, Super Connected, and Hanging Ten. All other lyrics and all songs on RESONANCE are written, performed, arranged, recorded, and produced by Icicle. The new album is characterized by especially strong and inventive writing. The mix ranges from raw and brutal sounds like those in War and Smoke & Ash, to Runaway Train - a "break-up song." 1962, says Icicle, "is a throwback into the height of the Communist regime; a parallel between the East and the West," while Madness Is My Home (first single) evokes "the mad scientist, working relentlessly on a small miracle, finding that Eureka moment at the break of dawn." The album opens with the instrumental Tuck the Puck - Icicle's signature, and closes with Hanging Ten - "a reminiscence and reflection upon the way of the world and its mechanism; a call for awakening and realization; a call for revolution of the mind." License He who sings thinks no evil by Icicle for your project. Play the music of Icicle in your restaurant or store.